Engagement And Ring Ceremonies: This event which takes place before the wedding marks the beginning of holy union of two souls. We understand the importance of this event and yet keep a notch lower than the main wedding. Creating the decor, styling, catering to maintain the perfect balance is our specialty. Wedding: Wedding is not just all glitter and shine. It is an occasion where rituals and ceremonies are carried and couples tie the knot. While this is an emotional event for you, we make sure you don’t have to get into the nitty- gritty of it. From décor to the mandap to the purohit, everything is taken care of. Reception: Reception is the grand entry of the married couple. We make it even grander by integrating some creative entry ideas, spectacular space creation and music! 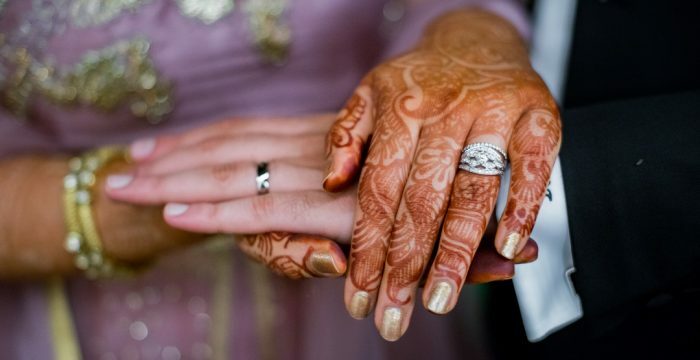 Mehandi : This is an informal event which truly belongs to the bride. We create the perfect ambience for it. Let it be outdoor setting or an indoor low key Mehandi ceremony, we make sure the bride is happy. Sangeet: This event which takes place before the wedding marks the beginning of holy union of two souls. We understand the importance of this event and yet keep a notch lower than the main wedding. Creating the decor, styling, catering to maintain the perfect balance is our specialty.